Why buy JWLX trade directory ? Get Suppliers from 200+ suppliers from about 30+ Indian Cities. Get updates of latest market trends & designs. Get full details of suppliers which include contact no., email id & address. Opportunity to understand global market trends. 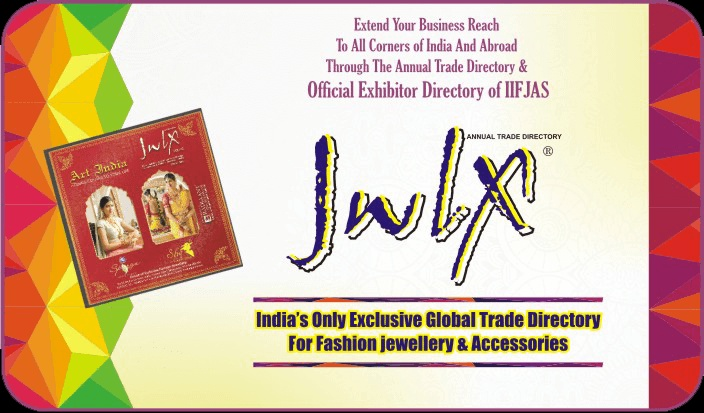 Why Advertise in JWLX Trade Directory ? Most-comprehensive trade directory for INDIAN FASHION JEWELRY INDUSTRY. Over 25000 copies distributed annually across the globe. Extensive reach among buyers from 300+ Indian cities & 20+ countries.